FS2002 Alphasim Mig-21 in North Vietnam colors. It is for FS2002 only at present as only half of the tail-pipe shows in FS2004. 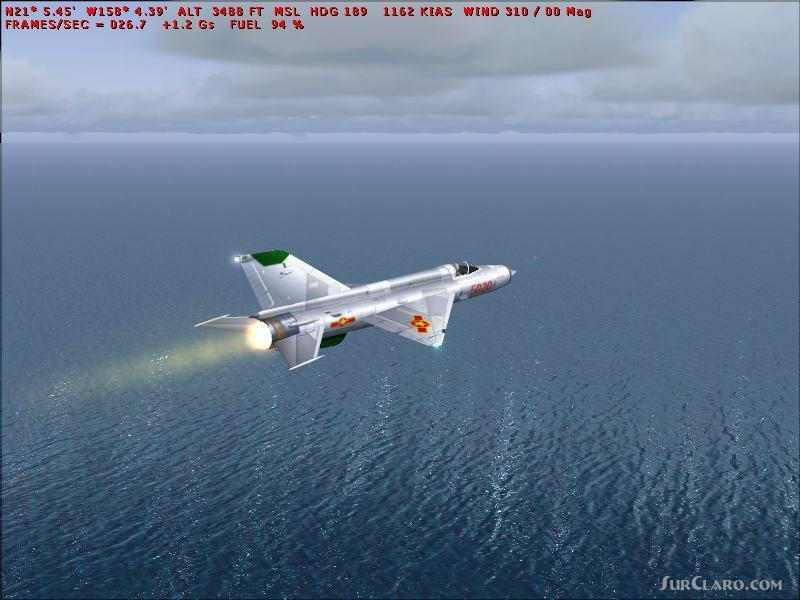 Description: this is the alphasim mig-21 in the colors of North Vietnam. at present it is only for fs2002, as in fs2004 only half the tail-pipe is visible, which half, depends on your angle of view. anyone out there brave enough to fix this problem? be my guest. Bob Chicilo.